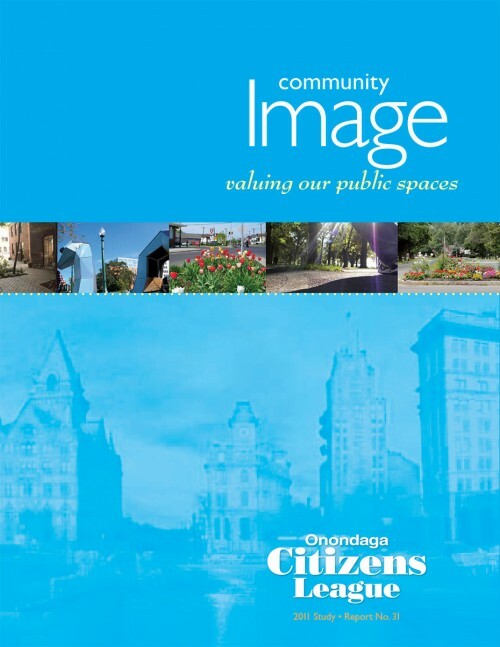 The annual study is the most important activity of the Onondaga Citizens League. Study committee members develop an in-depth understanding of the topic from presentations by experts and stakeholders, review of reports and other resources, and discussion of relevant issues. The OCL board is responsible for selection of the study topic. The Study Committee is responsible for ensuring opportunity for broad community participation in the study. The resulting study report is a community resource with specific findings and recommendations for action. The OCL board president appoints a board member as Study Topic Selection Committee chair; the chair convenes a committee representing a variety of interests composed of OCL Board members and other OCL and community members. OCL solicits study topic suggestions from OCL and community members. The committee selects at least three topics for development and drafts 1-2 page proposals on each topic. Committee members present three recommendations to the Board, including recommendations for discussion and selection. Is the issue important to the community? Will the topic generate interest among OCL members and the general public? Can the study provide information that will add to public understanding of the issue? Does the issue lend itself to long-term solutions, or is immediate action required? Is the issue manageable – not too broad or complex? Is there potential for the League to make a difference? Are other organizations working on the issue; if so, can the OCL study contribute to the effort? The OCL Board appoints a study chair or co-chairs. OCL members and other community members are invited to join a Study Committee. The study committee includes stakeholders as well as generalists who bring a citizen’s viewpoint and ability to raise questions from a different perspective than the experts. Define Study — The initial role of the Study Committee is to define the structure and format of the study, including questions to be asked by the study, local experts and other stakeholders to be interviewed, and reports and other information resources to be reviewed or collected. The Study Chair reports to the Board on the progress and direction of the study. Fact Finding — Study Committee members plan and implement study sessions and participate in presentations and panel discussions covering focus areas. Members review any related materials or reports contributing to the fact finding. Study committee meetings occur on a regular schedule, usually over several months. Develop Findings, Conclusions and Recommendations — A study writer attends study sessions, prepares meeting notes, and drafts the report based on the research and discussions. The study committee develops findings and recommendations based on the study sessions and resource material. The Study Chair presents the final report to the Board for approval. Dissemination — The final study report is distributed to OCL members, study participants and elected officials, and is linked to the OCL web page. The Board and Study Committee uses the volunteer, citizen influence of OCL members to publicize and seek action on the recommendations contained in the study report. Examples of active dissemination include presentations to decision-makers, media and interested organizations; newspaper articles; letters to legislators; and participation in forums and conferences.